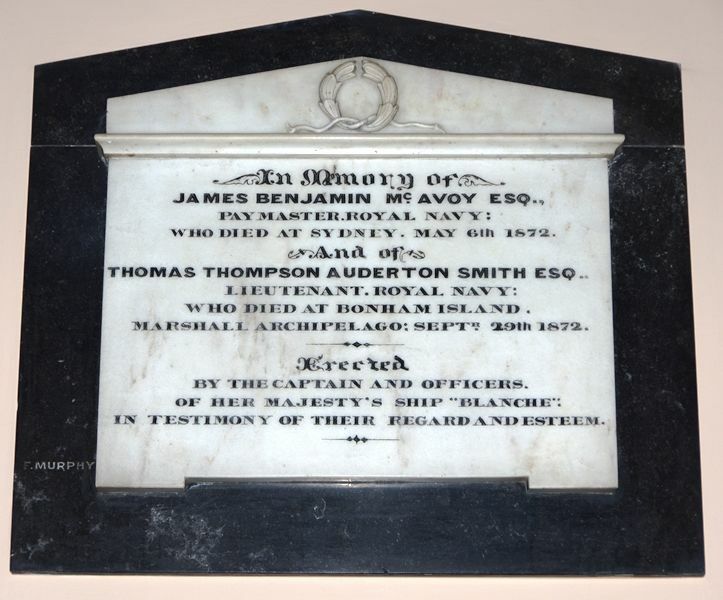 The plaque, erected by the captain and officers of Her Majesty`s ship "Blanche", commemorates James McAvoy, Paymaster of the Royal Navy who died on the 6th May 1872 and Lieutenant Auderton Smith who died on Bonham Island, Marshall Archipelago on the 29 September 1872. Lieutenant, Royal Navy : Who died at Bonham Island, Marshall Archipelago; Sept 29th 1872. In testimony of their regard and esteem.